Marvelous Multiagers! : You Get a Tree! And You Get a Tree! Today was Arbor Day! I was scrambling for something to do for it. Last year, I visited the Arbor Day website and found this really sweet Tree Diversity project that I did with my 7th and 8th graders. This year I had a hard time finding something age-appropriate that was fun. So I just fell back on my favorite thing ever... read aloud!!!! 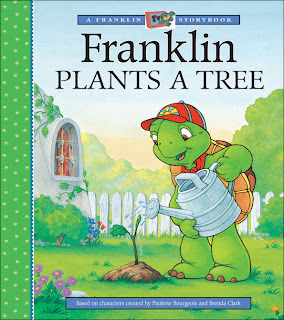 We read this lovely little book, Franklin Plants a Tree. I just happened to have it in my library! It's actually an Earth Day book but it worked out well enough for me today. 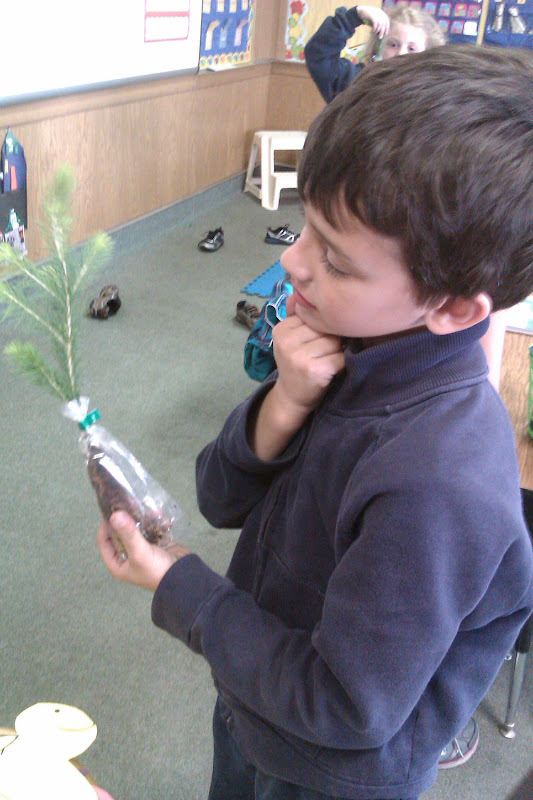 In the book, Franklin's teacher gives him and his classmates saplings of their own. Franklin starts out as a crabbypants about his tree being so small, but he eventually comes around and brightens up. Hooray for you, Franklin. While we were reading the book, I stopped once and said, "Wow, how nice of Franklin's teacher to give him his very own tree. Wouldn't it be sweet if you guys got your own trees?" "Yes," they sighed in envy. Well well well! Luckily enough for them, my mom is a forward thinker and had bought 12 little saplings for my class! When the book was over, I told them I had something for them. Then I whipped out the trees, Oprah-style! "You get a tree! And YOU get a tree! Everybody gets trees!!!!!!!!!!" To say they were pleased would be an understatement. I had screaming, lots of hugs, and general craziness. Some of the trees were named. These names included Red, Katie, Mr. Baby, and Isis. Aww, that's so sweet of you! Cute idea! You crack me up Jill! What a nice thing to do with your class! Love it! Are they going to plant the trees at school or at home? Wow, that's so cool! If you gave me a tree I would probably flip out, too! What a great Arbor day idea.